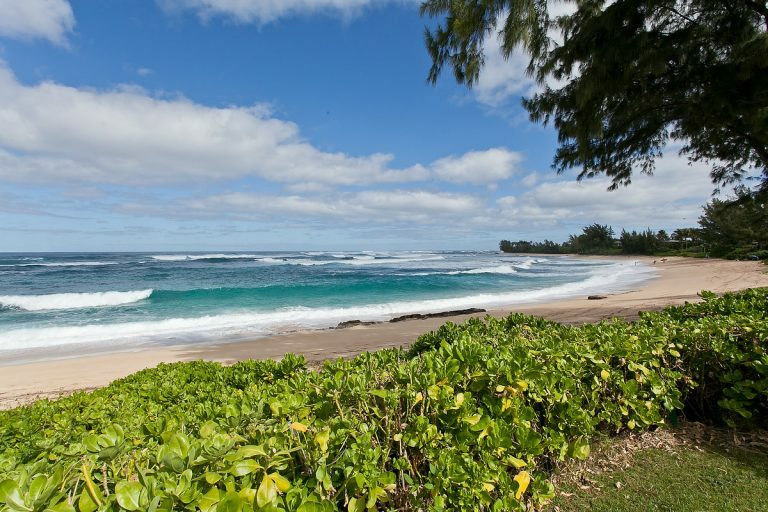 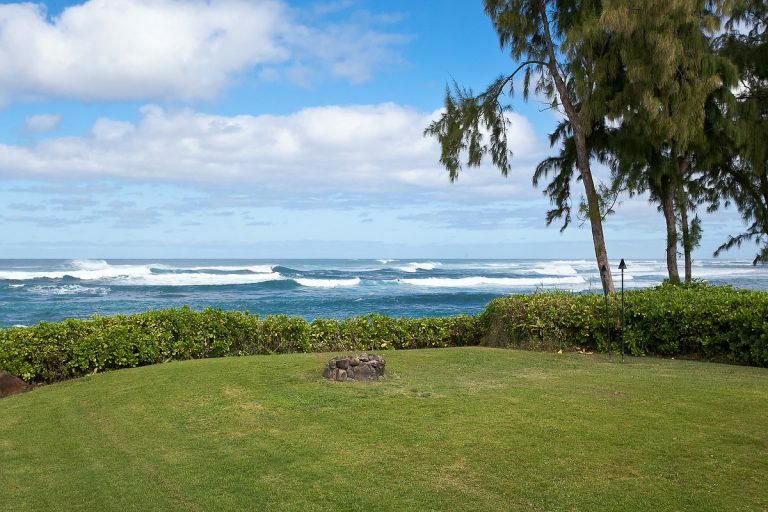 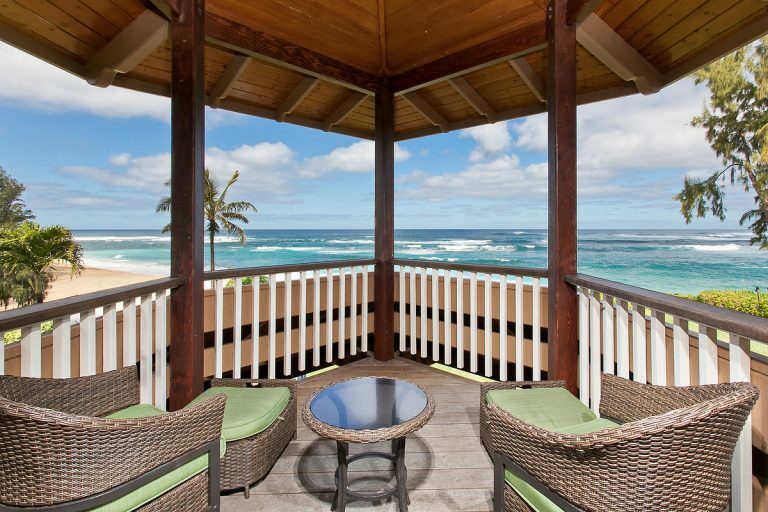 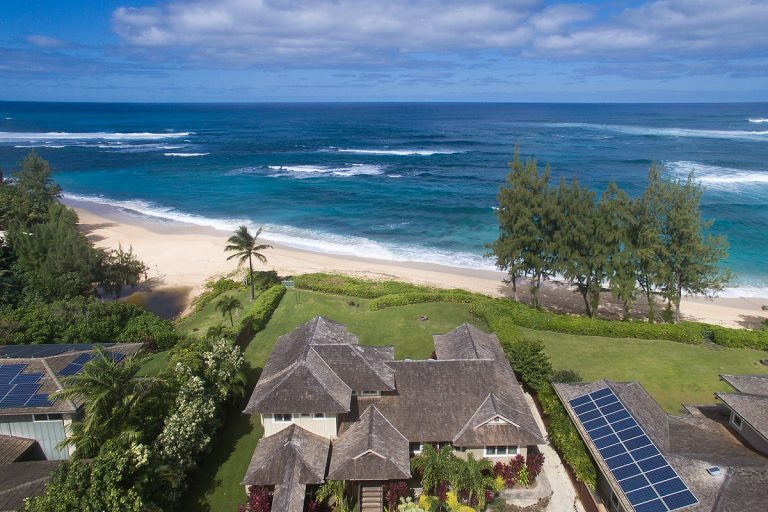 A rare and private North Shore vacation rental located directly on gorgeous Sunset Beach right next to the famous Velzyland surf break. 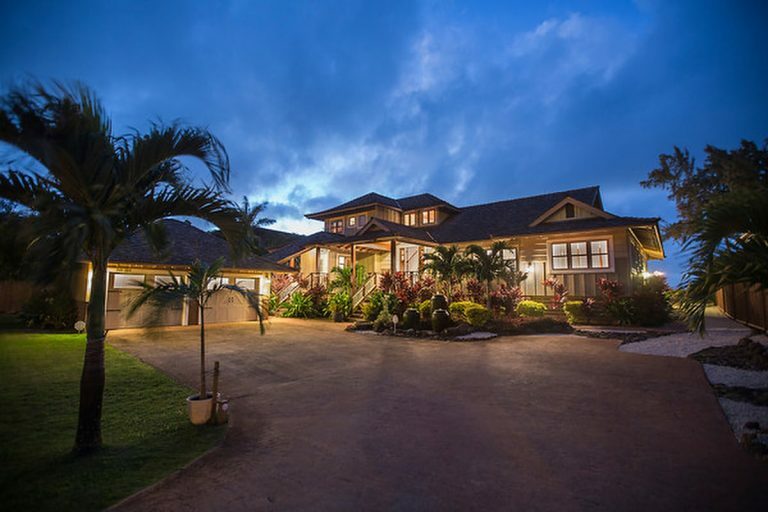 This magnificent residence provides over 20,000 square feet of tropical beachy charm. 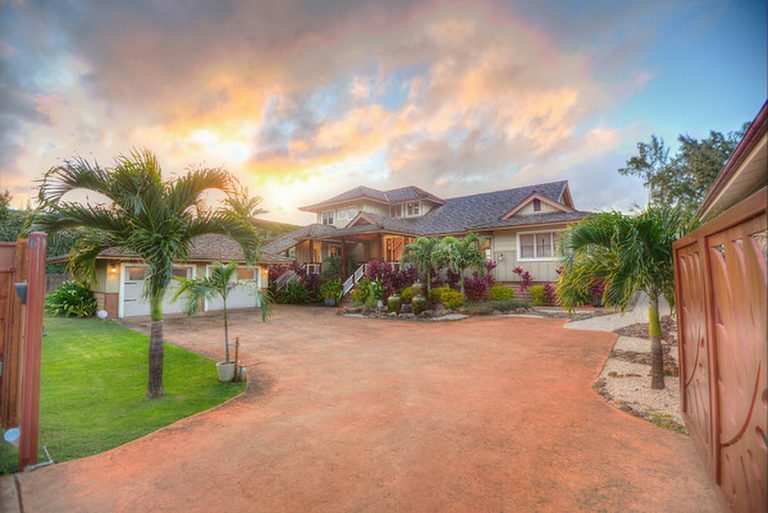 Entering through the privacy gate, you are greeted by lush native landscaping and delightful water features. 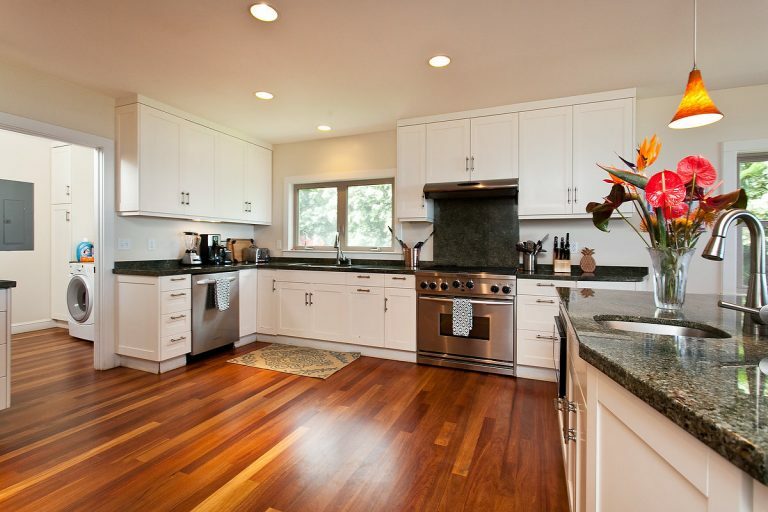 Stepping inside you’ll find the home has a lovely, open and natural flow. 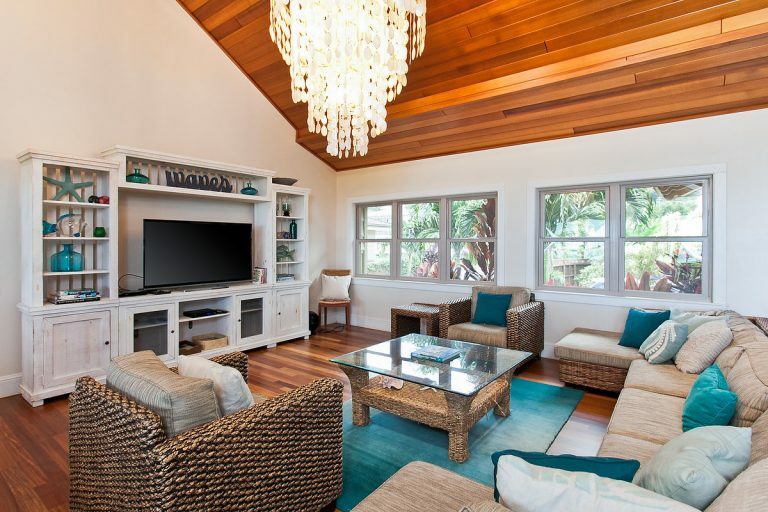 The inviting, expansive living room features a large sofa and extra seating, a flat screen TV and DVD and sound system, as well as a unique capiz shell chandelier that fills the room with warm light. 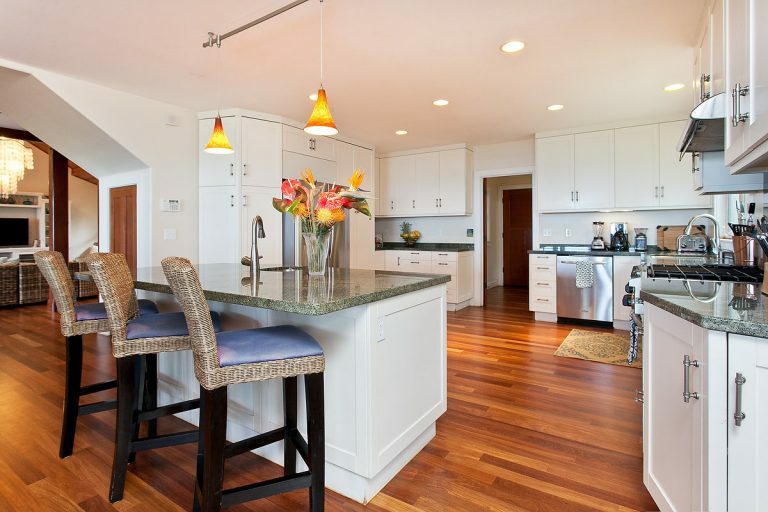 Stepping into the large, gourmet kitchen, you’ll find a gas cooktop and oven, granite countertops, as well as a prep island with bar sink and breakfast nook. 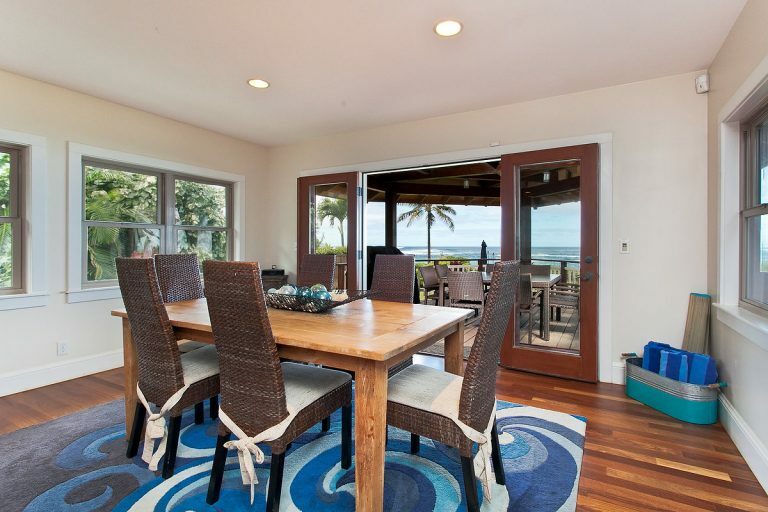 The adjacent dining room overlooks the main lanai and comfortably seats six. 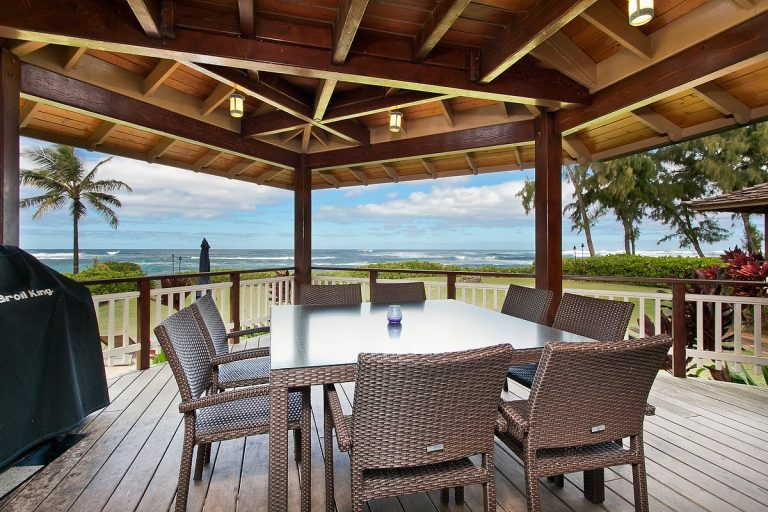 Enjoy a wonderful outdoor dining area with a BBQ and an additional dining table that seats eight. 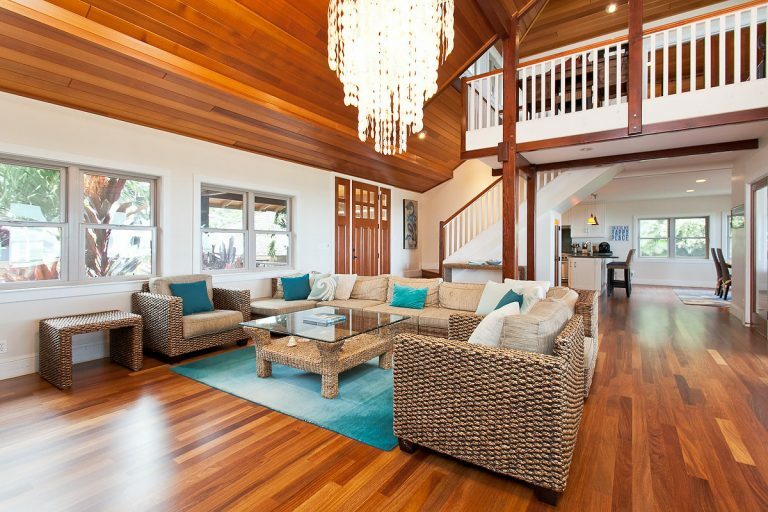 As you explore the vacation home, you’ll notice a variety of details throughout, such as vaulted ceilings and fine hardwood flooring. 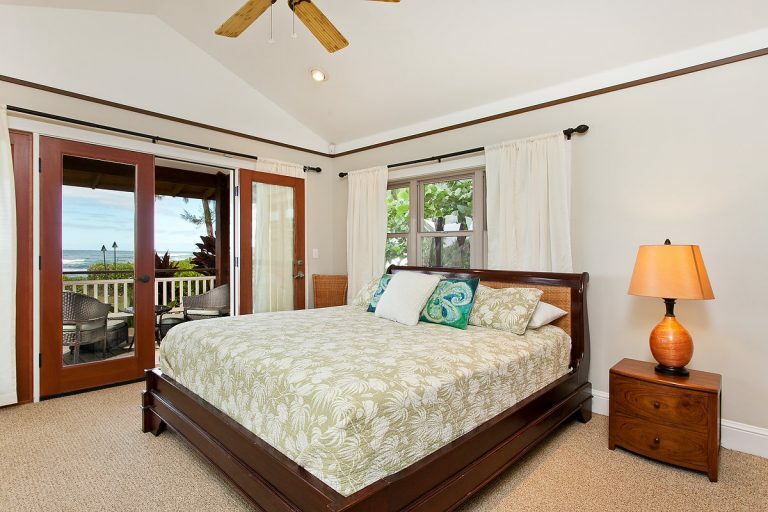 Upstairs, the master bedroom has stunning ocean views, a lovely 4 poster king bed that opens to a small lanai (perfect for relaxing or getting a massage), a full bath with deep jetted tub, a double head shower and a walk in closet. 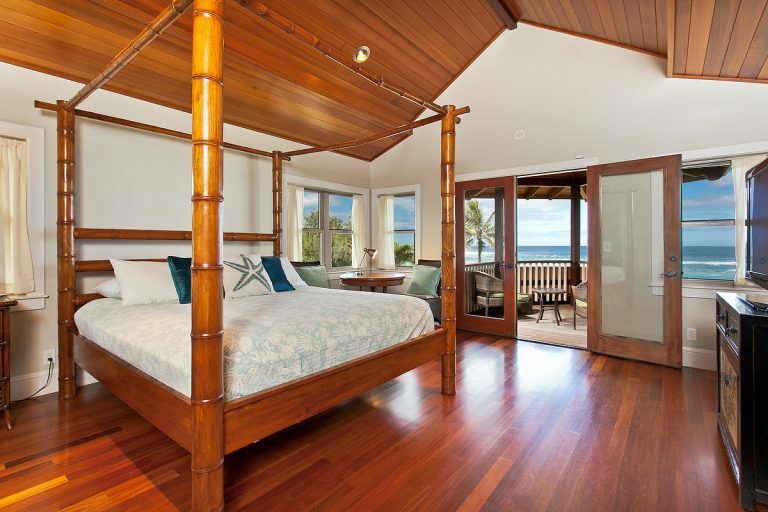 Additionally, a punee (daybed) sits outside the master bedroom, which can be converted into a bed to sleep one. 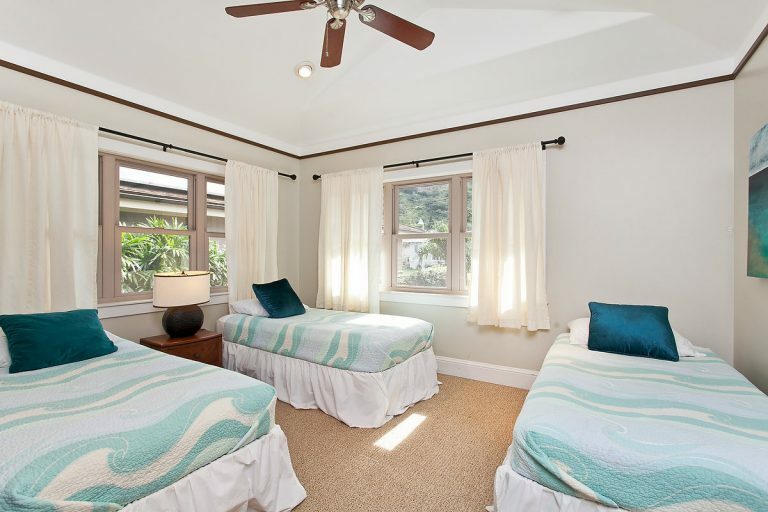 A second king bedroom with full bathroom is located downstairs, with a walk out lanai (and equally lovely ocean view). 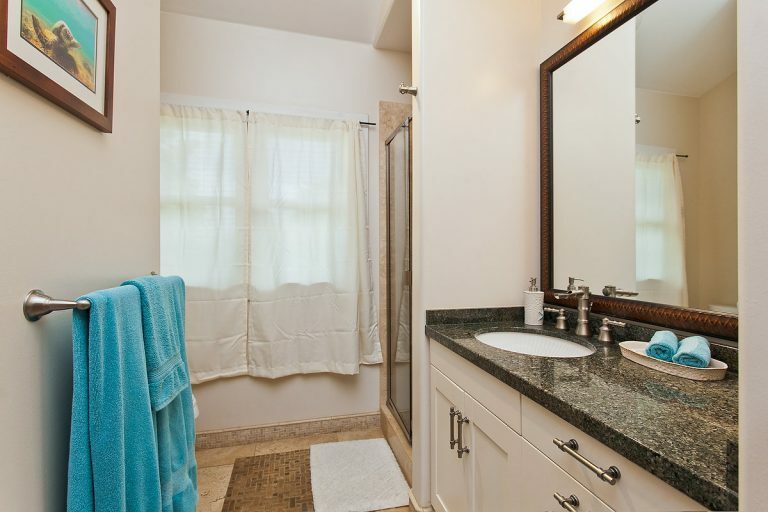 You will also find an additional bedroom with 2 twin over full bunks plus a twin trundle with a full bathroom in the hall. 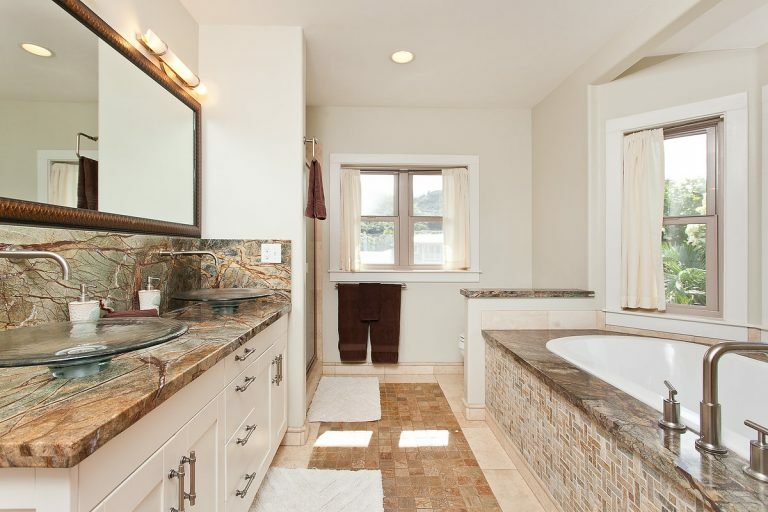 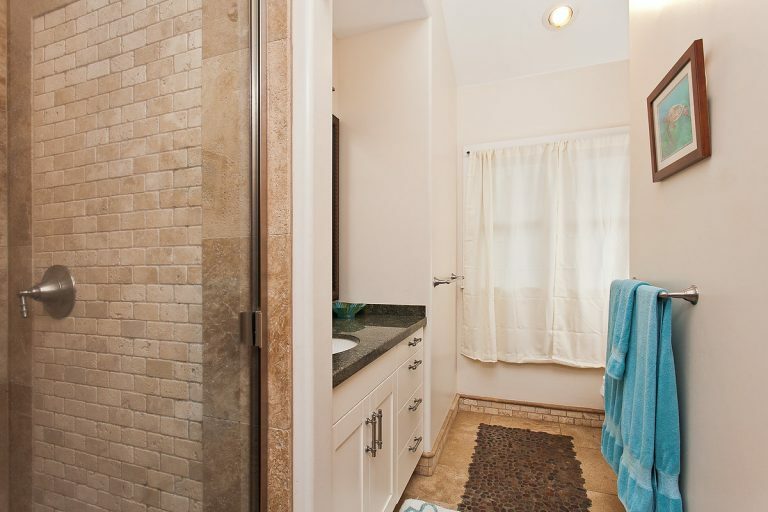 All bathrooms are built in unique custom tile and stone design. 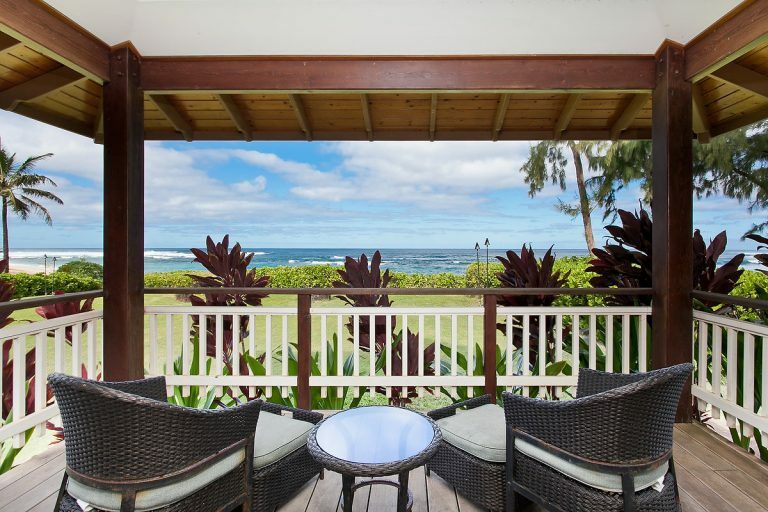 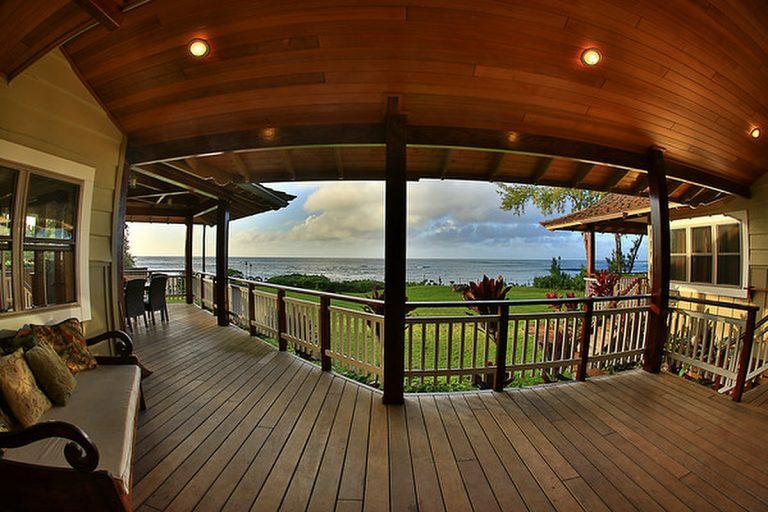 A large lanai wraps around the back of the home, providing ample seating from which to enjoy the ocean view. 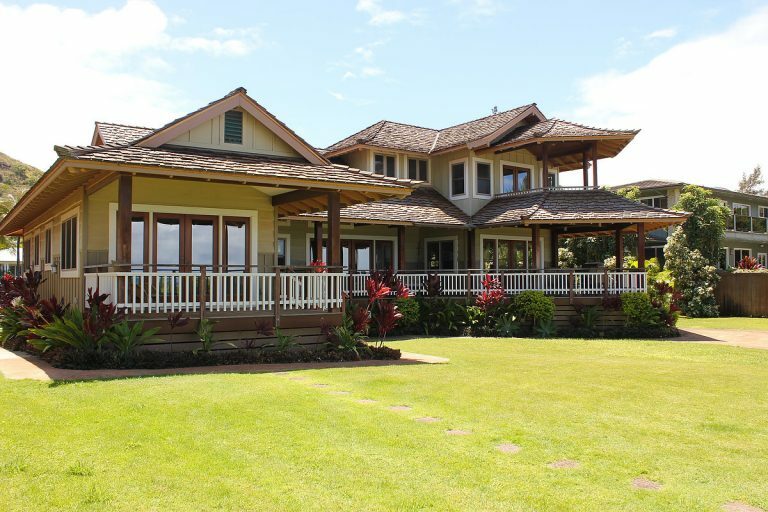 Spreading out on the ocean side of the home is a huge, ocean-facing lawn with plenty of room for kids to run and play. 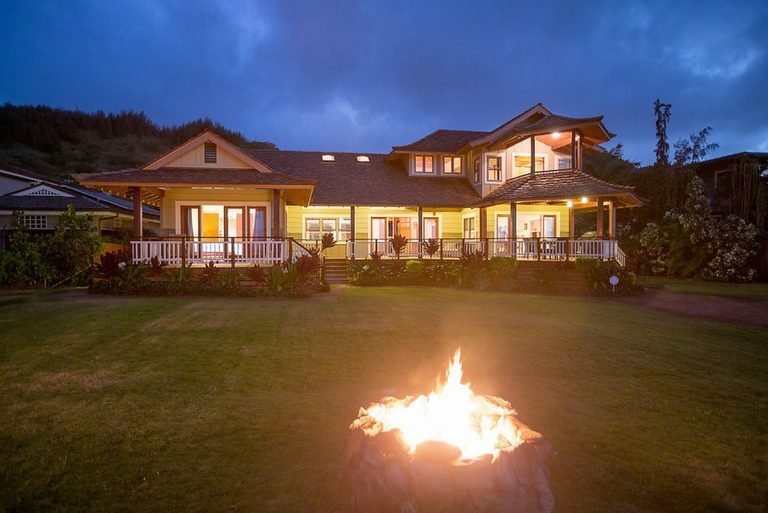 There’s also a fire pit that’s perfect for evening smores while enjoying a spectacular and unrivaled North Shore sunset.